WOOD YOU LIKE A PEEK BEHIND THE SCENES? 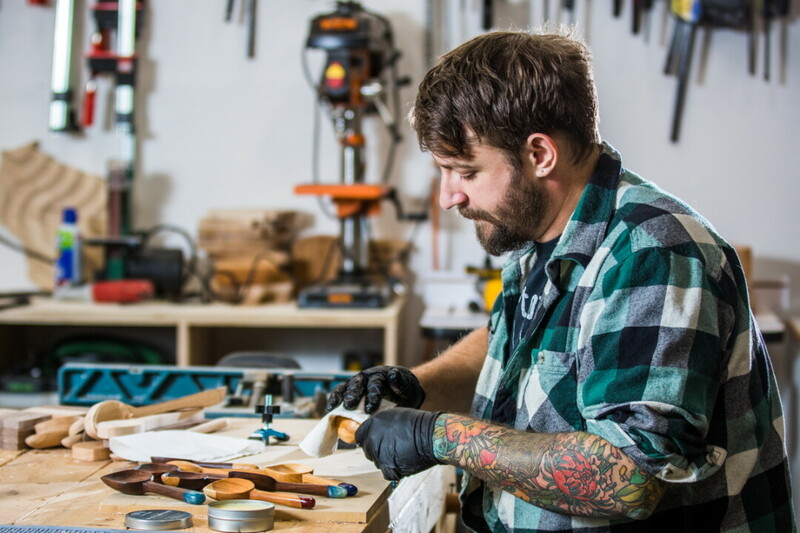 Nick Endle got into wood working to use his hands and the spend more time with his father. Over the past five years, his hobby has evolved into a business. 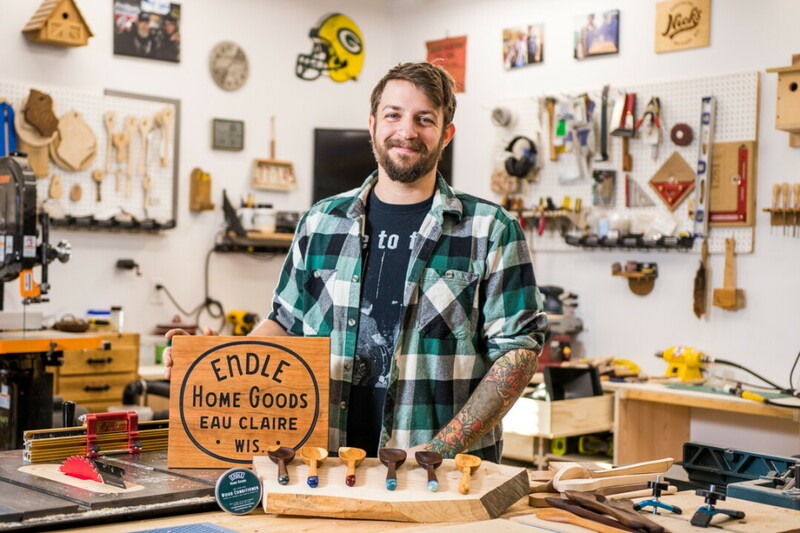 Nick Endle, the craftsman behind Endle Home Goods (formerly Nick’s Wood Shop), is rapidly expanding his local business. Endle, a full-time web developer, started working with wood in 2014, when he moved into his first place with a garage, as a way to work with his hands and spend time with his father, who had a lot of experience in wood working. 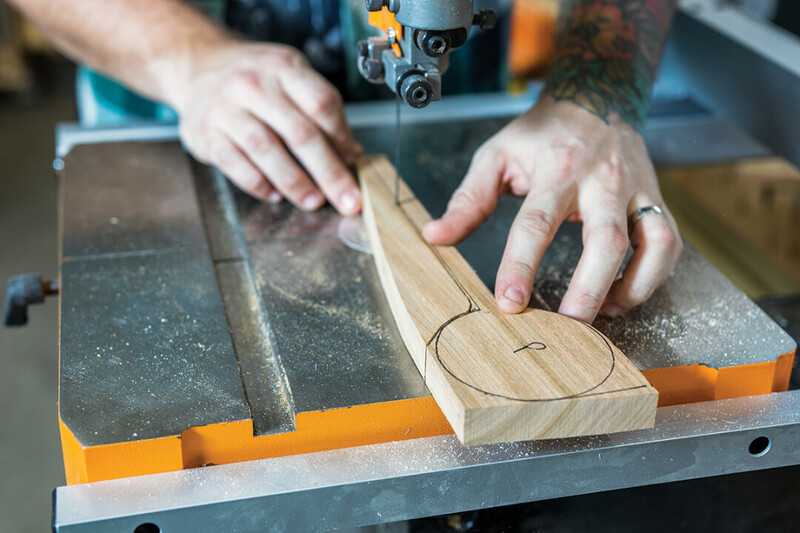 Once Endle started working with wood he discovered his passion for it and he started making furniture, custom pieces for friends and family, and eventually products to sell in stores. Endle currently makes a variety of products that are sold at stores (including Red’s Mercantile and The Local Store) in the area, throughout the state, and throughout the country, at craft shows and special pop-up events, and through his online store. He says his most popular products are traditional cooking spoons and coffee scoops. 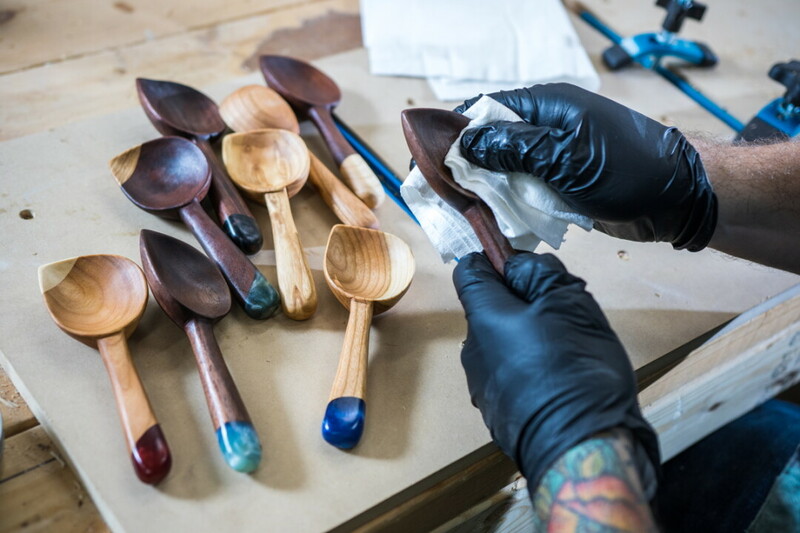 He said his favorite item to make varies but mixing it up keeps it interesting – for example, making coffee scoops but from variety of wood species. Endle credits the success of his business to his family. His parents and grandparents have been incredibly influential to him, from his father teaching him how to work with wood, to his mother and grandparents teaching him how to market handmade at events such as craft sales. He also said his wife has been a big help, and he hopes her role expands as the business continues to expand. “This business is bigger than me – its about all the amazing craftspeople that came before me and that I share a last name with – and it was important for me to honor that with what I am doing,” said Endle. Endle recently changed the name of the business from Nick’s Wood Shop to Endle Home Goods because he feels the new name better represents what he is producing and where he would like to take the business going forward. He doesn’t want to be seen as just a woodworking shop, but rather as a producer of quality, handcrafted, home goods. In the near future, he hopes to offer his goods at more stores throughout the country, to expand the number of products he makes, and to continue to meet new customers through direct sales. He is also interested in making more custom furniture pieces and possibly opening up his own retail space down the road. To learn more about Nick Endle and Endle Home Goods, check out: endlehomegoods.com or @endlehomegoods on Instagram.